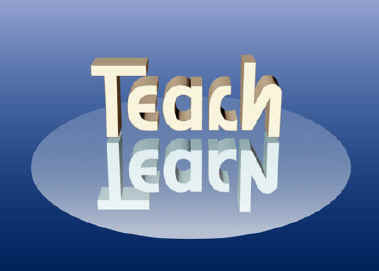 and some consideration of how you learn. Bill Moyers: Journalism from a revealingly realistic perspective. Wiki leaks: What you do not know can hurt you. 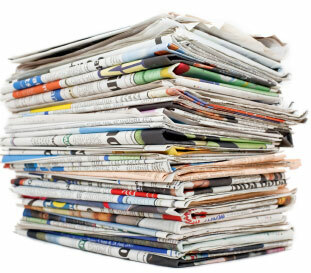 Media Matters: What is actually being covered by the media outlets? Center for Public Integrity: Follow the money! You must think a lot in order to learn well; but directed thinking based on critical reading! Most of us think we are inadequate and incomplete learners. Too many people are unaware of what Howard Gardner offers as a more comprehensive look at learning in his review of this book by Steven Mithen on the origins of the mind as our brains evolved rapidly in the Pleistocene period is a demonstration of critical skills. Gardner believes we have multiple intelligences and not merely one means of expressing intelligent ideas! Ian Tattersall and the human mind's evolution. The olfactory circuits and memory. Mithen argues that all of these faculties of the mind: religion, art, and science arise in a prehistoric "mentality" of a tool maker culture. Tool acquisition and use require that devotion (religion), tactile expression (art), and knowledge (science) of the natural world be integrated in such a way as novel "mental capacities" or the seeds of our current multiple intelligence emerged. 1. use of bodies to imitate older and more sophisticated members of the group. 2. spoken language to tell stories. b. linguistic pictographs, notation of sounds, letters, or ideographs. Gardner writes that "I find most convincing Mithen's claim that human intelligence lies in the capacity to make connections: through using metaphors..., or through the unexpected juxtaposition of images that make us laugh." "To make connections is to link the various quasi-independent intellectual modules." argues Gardner and that these connections among ritual devotion, creative expression and knowledge of nature gives rise to a diverse range of mental capabilities. Jerry Fodor's description of different "modules of the mind" (... based on Noam Chomsky's theory that the mind is hard wired for knowledge..) -- is that the mind is not one, but many separate 'thinking' devices, each with a separate purpose, capability and means of expression through talking, doing, or inventive display. The mind, as parts of the brain working together. This term means that there is not only one type of intelligence or aptitude but several means of acquiring and expressing what you learn. perceptual mental interpretation of what one "apprehends"
conceptual verbal, visual, or written expression of what one "comprehends"
7. awareness of their own bodies. The empirical research, evidence shows that infants are aware of basic properties of objects a full year before Piaget thought they were. Gardner concludes that "recent research on early infancy provides the strongest clues to the inherent modularity of human cognition." The mental capacities as reflected in multiple intelligences "are constructed so that they automatically become active under appropriate circumstances." The mystery remains as to "How the various modules become able to work together?" "Empirical evidence shows that the mind -- human or pre human -- is distinguished precisely by the fact that it does not treat all experiences or all problems as equal and does not harbor all purpose rules or operations." Each of the above four discretionary abilities of the mind suggest a "highly particular nature of these species of -- intelligence" that augments our survival in a changing world. All creatures demonstrate varied capacities for neural sophistication such as a "sparrow's song, maze-running rodents, dance in bees, foraging by ants, or whale's songs." Humans have inherited this neural sophistication and share the dexterity of all animals in adapting our mental capabilities to a wide range of hazardous situations. Gardner concludes that, the time is ripe to integrate findings from: evolutionary psychology, developmental psychology, bran study, and cognitive archeology, to better understand and teach to these multiple intelligences. ( for such 'modern' functions as consciousness )." hominids with stone tools existed 400,000 years earlier than previously thought. Homo erectus still lived as recently as 27,000 years ago! finely crafted spears are 400,000 years old. dogs may have been domesticated 135,000 years ago. Neanderthals may have composed music for the flute and had vocal chords. Humans are not a progressively perfect model of a successful mammal. That is because our descent implies inefficiency and mistakes as we inherit various genetic capacities and learned capabilities from our ancestors. But the evidence is mounting that human descent is augmented by a cultural ascent (Bronowski). As such an "Ascent of Man" is only possible with the simultaneous development of the brain, tool making, language and cognition. How these facilities arose to imbue human cultures with rich associations remains unclear in the specific details. But the general pattern emerging today suggests that multiple means of knowing and expressing our intelligence are with us because of this long evolutionary past. Metaphors are comparisons between two or among more things without using "like" or "as" to make the comparison. "a wine dark sea," or "the rosy fingered dawn," or "virgin birth." responsible for body movement and coordination. 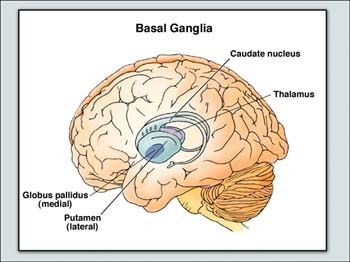 It is hypothesized that this part of the basal ganglia is vital to "processes fundamental to successful goal-directed action." Jessica A. Grahna. . . . John A. Parkinson, Adrian M. Owen. "The caudate nucleus plays a vital role in how the brain learns. As such, it also plays a highly important role in storing memories. It works as a feedback processor, and this is important to the development and use of language." the part of the brain that shifts movement constantly by sending nerve signals and proteins [GABA] to the brain stem and thalamus. using the protein dopamine this structure in the basal ganglia influences movement and to some extent learning by nerve connections to the Globus Pallidus. a significant part of the limbic system, or that portion of the brain that functions in reptiles, mammals, primates and humans to facilitate sensory perception and dictating sleep patterns. Nerves in the thalamus receive signals from the body, auditory centers and visual cortex and is involved in motor control serving as a kind of relay station sending some of the signals on to the cerebral cortex. Both spatial sense and motor functions emerge from this structure and its sub-units. Progress in Neurobiology, Volume 86, Issue 3, November 2008, Pages 141–155. George Lakoff, Brain binding arguments.